I first commented on Marvel Heroes when I complained about its screwy DLC pricing system a few months ago. Now, I’m finally going to review the game. To be honest, I think I liked it better as a curiosity to mock for its money-making schemes rather than a game I actually had to play. One word kept popping up while I played – tedious. 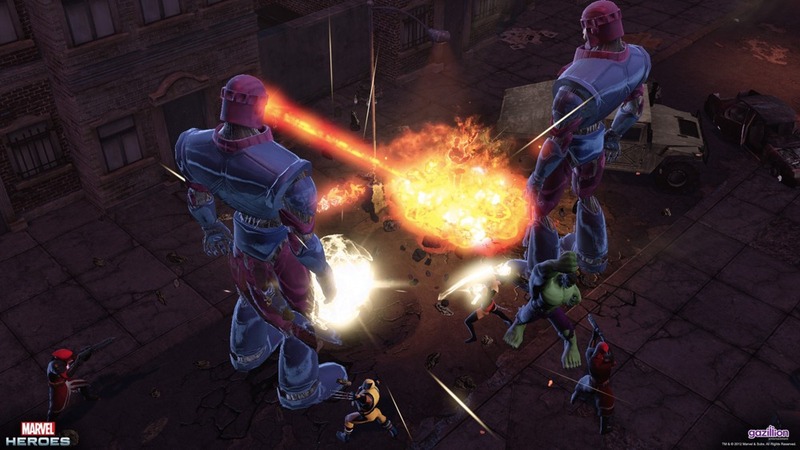 I don’t know of another game in the last year that I fought every step of the way the way I did Marvel Heroes. It’s not broken, it’s just boring as hell. 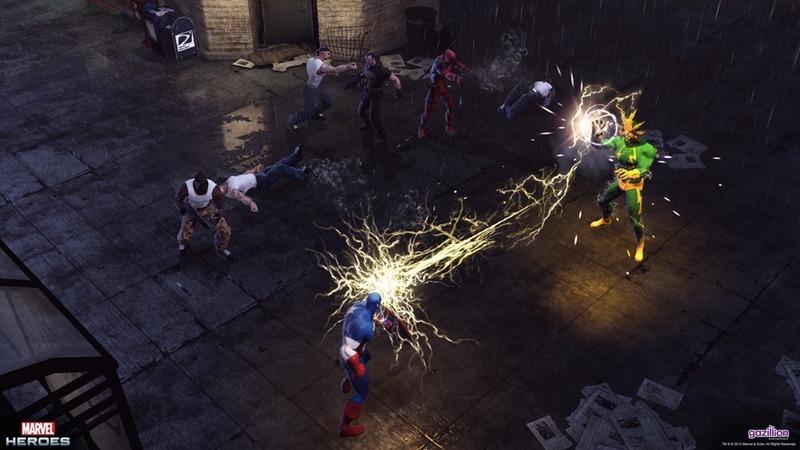 It’s an action RPG that sticks you in a world with many other players, but rather than allow you to create your own character, you pick from a handful of Marvel’s heroes (I know, shocker) and proceed to play through the game looking like almost every other player who picked that character. I picked Hawkeye and every other Hawkeye looked exactly like me. The only options for customization are skins available on the real-money store. These are fun, especially for old Marvel fans like myself, in a nostalgic kind of way but aren’t something I would spend any money on. The actual action RPG leanings of MH are tepid at best. I was greatly underwhelmed by the action and controls, both of which pale in comparison to much better games like Diablo III and Torchlight 2. The combat is floaty and imprecise so you feel like you’re flailing at random and enemies occasionally fall over. Boss battles against named villains seem to rely heavily on kiting and rather than being epic showdowns, instead devolve into wars of attrition. There is absolutely nothing exciting or unique about this experience. I can’t remember another game that I cursed at out of boredom like this one. I literally took to mocking everything that happened in the game just to keep myself from getting frustrated, which, actually, became allot more fun than playing the game. I suppose the voice acting is decent, but it’s not decent enough to float the rest of the mediocre audio. A few things that stood out to me, be they bugs or bad design, where enemies that seemed to die at random while I killed their friends and enemies that continued firing their attack for a short time after death. Worst, I think, is that I saw very few other players. Early on, I saw more players, but now I rarely run into anyone else. For a game that wants to be the first big MMOARPG, a dwindling community is a bad sign. With bland worlds, no real player customization to make your avatar stand out, average-at-best controls, and just an overall tedious experience, I can’t recommend Marvel Heroes to anyone. It was a nice idea but failed in execution.